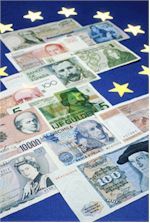 Eurozone Advisors is the first and only independent financial research consultancy service specialising on the euro. Combining the expertise of leading independent senior economists and political analysts, plus a "peer" network of associates, located in different centres within the Euro area, EZA provides value added strategic advice and guidance. We advise you on the key, forward-looking elements of policy driving euro asset pricing, and supply the fundamental macro-economic and political forecasts you need to make your investment & planning decisions. A fee-based consultancy, Eurozone Advisors supplies confidential real time reports, briefing notes and alerts, to the global institutional investment community, government agencies and central banks alongside bespoke consultancy services tailored to the needs of individual clients. Its monthly print publication, Euro-Insider, now in its eleventh year, is also available on subscription. Our clients believe quality and not quantity of information is of most importance. EZA individual reports are tight and brief so that the best possible information is transmitted in the quickest and most efficient way. EZA research is unique: based on rigorous data work, an indepth understanding of the policy making process, local markets, and direct contact with those making and influencing policy. This approach enables us to provide a clear view on the likely events which will effect your business and investment strategy. The EZA mission statement: "To provide global financial markets with independent 'inside track' monetary, economic and political research on the euro, plus common sense forecasts based on this intelligence."